Connecting people to services is a strategic priority for Halton Region. The dedicated staff of the Region’s Health Department work hard to ensure that Halton’s parents and guardians have access to the information they need to give their children a safe and healthy experience at home and at school. One of the most important transitions in a young child’s life is the one from preschool (or home) to kindergarten. While it can be an exciting change for many parents/guardians and children, kindergarten can also be a nervous, unpredictable time for some youngsters and their families. Whether you and your child feel prepared for kindergarten or are worried about the transition to “big kids school”, it’s comforting to know that Halton Region has the tools you need to help your child get Ready, Set, Go! Nutri-eSTEP: a simple tool to help you find out about your child’s eating and activity habits. 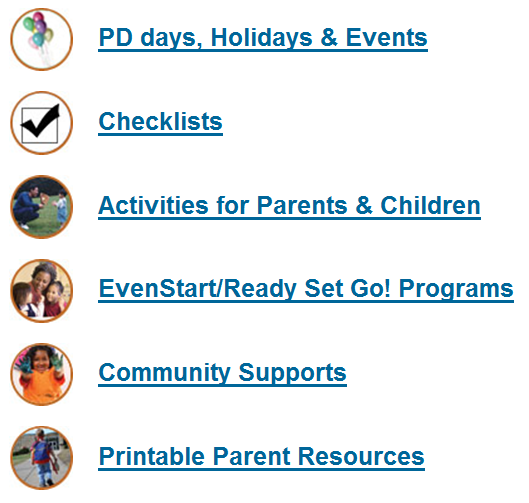 Parents and guardians can also visit halton.ca/readysetgo or halton.ca/haltonparents to access a variety of helpful community supports and programs, checklists, tips and much more! We hope that you and your family find these resources useful. At Halton Region, we have made it a high priority to help connect residents to the services they need. Our HaltonParents team of public health nurses is committed to helping parents and guardians access the best programs, supports and resources available to help their children succeed in kindergarten and beyond. We are also proud of the strong partnerships we have with the Halton District School Board, the Halton Catholic District School Board, Ontario Early Years Centres and the many other community groups who contribute to the positive development of our children and families. Programs such as Ready, Set, Go! are another example of what makes Halton such a great place to live, work, raise a family and retire.